Your gift ensures we are able to expand the program to reach more senior citizens and support families in their communities. Move With Balance is a program designed and run by non-profit organization Giving Back whose mission is to prevent injuries from falls and enhance cognitive functions among the elderly. We accomplish this goal by employing active seniors as mentors to more frail elders, practicing exercises together in a safe, loving environment. 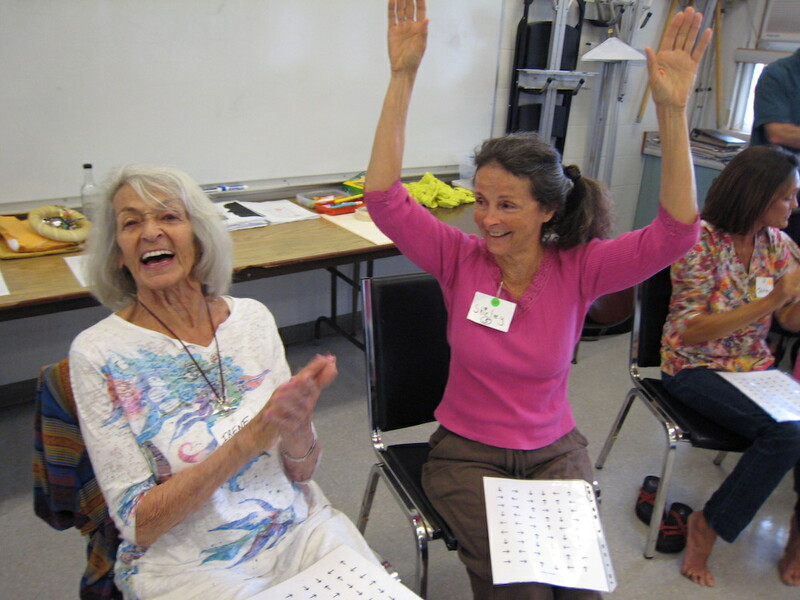 Activities include integrated movements, original music, vision training, focusing and balance exercises so that the mind and the body are stimulated simultaneously. Learn more on how the program works. Whether you can support a tax deductible one-time gift today or provide continued support through Amazon Smile, 100% of your gift will go directly to helping improve the quality of life of our elders. Whenever you shop online at Amazon, they contribute to us at no additional expense to you! Please contact us if you would like to discuss more ways you can donate to our program. Donations are a critical funding source for grassroots organizations like ourselves, which play a pivotal role in their communities. We deeply approciate your contribution. Find out more ways you can get involved with Move With Balance.